The spirit of Bela Lugosi and Nosferatu lives on in the gloomy backstreets of Saint Denis. 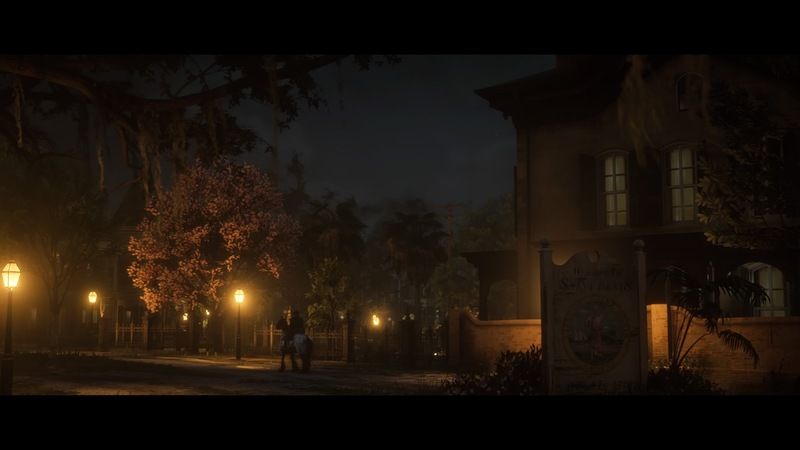 Here’s where to make like Van Helsing and find the vampire in Red Dead Redemption 2. To track down the bloodsucking beast, you first have to find graffiti in five locations around Saint Denis. It seems like the vampire has a taste for delinquency as well as hemoglobin, because the scrawlings are scattered all around the city. The first vampire graffiti location is across the road from the large saloon in the northeast of the city – it’s on the northwest corner of the building. 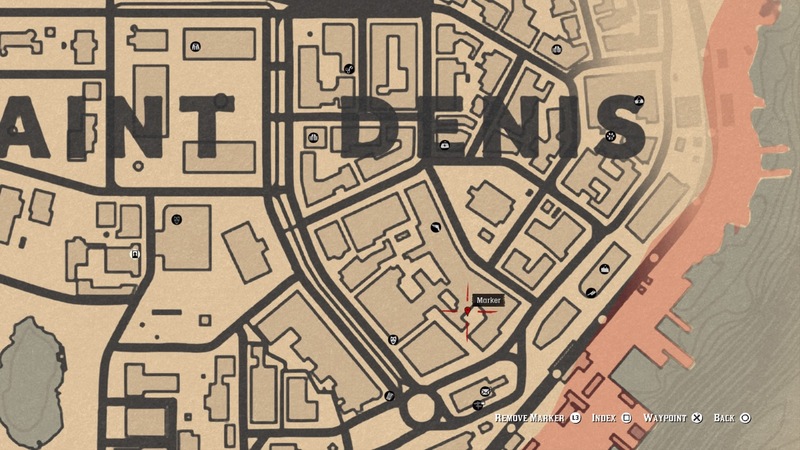 After that, you’ll find one of the graffiti locations just to the southwest of the Trapper in Saint Denis, where there’s an archway that says “Saint Denis Market Open Daily”. To the right of that archway, there’s a metal gate – just to your left as you walk through it, you’ll see the graffiti carved into the wall. Next, there’s another piece of graffiti around the back of the Gunsmith in the city centre (see screenshot). To get here, you’ll have to go all the way around the back and through the iron gates into the alleyways. To the south of the Gunsmith, there’s another hard to find piece of graffiti in a back alley (see screenshot). Travel south of the road that houses the gunsmith and you’ll see an archway on your right that says “Liu Hsiang Electric Work”. Through the arch, turn left underneath the stairs, down towards the more open courtyard and the graffiti is carved into the brick wall on your right. Finally, the last graffiti location is around the back of the general store on the eastern side of town. Head over to the building and go around to the eastern wall which faces the river – what you’re looking for is towards the southern end of the wall. 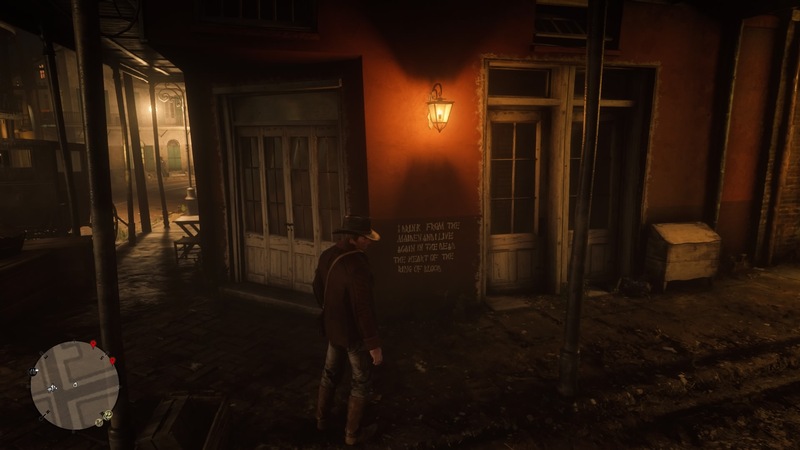 By reading all of the mysterious writing on these walls, you’ll trigger a black “X” on your map, just to the northwest of the general store, in a dark alleyway. As you’d expect, this encounter only works in the dead of night, so head to the “X” around midnight and you’ll run into the vampire you’ve been trailing this whole time. I won’t go into too much detail, but the result of your brush with the undead will net you a unique weapon. If you’re after more unique weapons take a look at our guide to the best weapons in Red Dead Redemption 2. For everything else, check out our big Red Dead Redemption 2 guide.